Several of the many speakers were also invited to contribute articles for consideration by the law journal. I’m happy to say that my article was accepted, and I received my author copies this week. It is a particular honor to be featured alongside the dean of the University of Illinois College of Law, Vikram David Amar, and Martha Nussbaum—one of the most renowned philosophers of our time. My article, “Sentinel Species: The Criminalization of Animal Rights Activists as ‘Terrorists,’ and What It Means for Civil Liberties in Trump’s America,” is available online. The animal rights movement has pioneered new, diverse forms of social activism that have rapidly redefined how we view animals. But those remarkable successes have been met with an increasingly aggressive backlash, including new terrorism laws, widespread surveillance, experimental prisons, and legislation explicitly criminalizing journalists and whistleblowers. This Article will explain how, if left unchecked, these attacks on animal advocacy will become a blueprint for the wider criminalization of dissent. I hope you’ll check it out! 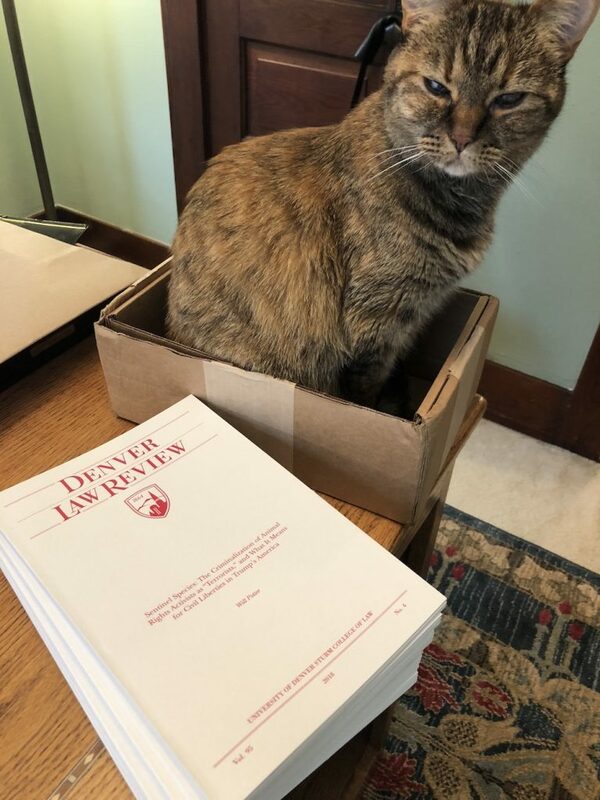 Britches is clearly so excited to read it she couldn’t wait until I opened the box. The official death toll of Hurricane Maria is up, again. And the news comes as we release a bold project from the University of Michigan, based on our on-the-ground investigation. 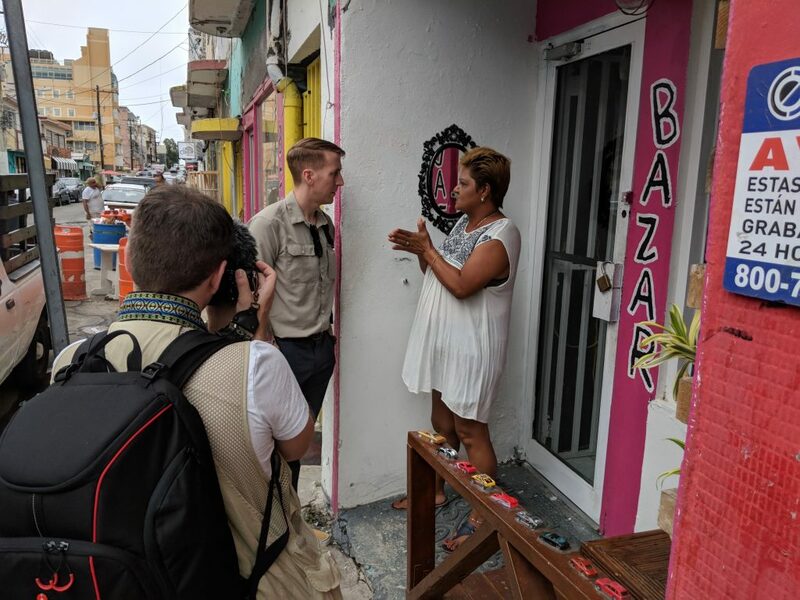 I recently led a team from the University of Michigan to investigate the aftermath of Hurricane Maria in Puerto Rico. We conducted more than 30 interviews with a wide range of people across the island, and we were also joined by a team from Notre Dame. The result is a free, online learning event called “Listening to Puerto Rico.” You can sign up for the Teach-Out here, and join learners from all over the world. Here is a message from the presidents of the University of Michigan and University of Notre Dame about why we have undertaken this new project. As part of this project, we also released a documentary with never-before-seen footage exposing the humanitarian crisis there. I’m so proud to have been part of this project, and I hope it will be an example for future ways that universities can engage in pressing social justice issues using journalistic techniques. Please SHARE and help expose what’s happening! I’ll Be Addressing the European Union about Government Repression in the U.S.